It's been four years since the last episode of Smallville, for me the last season was far from what i expected considering that Darkseid was the villain of the season. I had hoped for years that Kal-El would take to the skies but the producers and writers kept this god ground bound for many seasons. Which was kind of a disappointment for Superman fans. Last week, a promo trailer for CW's Supergirl was released, and after watching it i was happy that i wasn't just a Smallville clone. The story was almost like a continuation of the recent Man of Steel. Superman fans were treated to a Supergirl, Kara El who could do more just leap over buildings in a single bound but could fly which is a welcome development. The plot of the first season of the Supergirl would likely follow the same blueprint used by other successful shows such as Smallville, Arrow and The Flash and would see the young Kara El discover the limits of her powers, concealing her real identity while working in a news agency just like Kal-El. 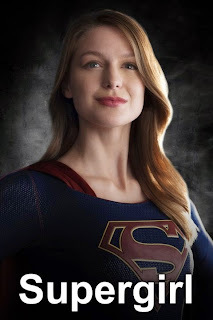 Having watched the pilot episode of the Supergirl series, i feel that the writers are pushing the series too fast too soon as she performs her first feat of catching a falling jet plane, pleasing her boss, gets captured by an extraterrestrial protection agency while fighting her first super powered villain. In some way i felt the writers could have eased up a little bit, catching the plane and coming up with her costume should have been enough. Here's a rundown of the things that i liked and disliked about the pilot episode. 1. Taking off the training wheels and letting Kara fly. 3. A separate city, not sure i like the National city name. 1. The fake "Miranda Priestly" boss was just off putting. 3. The Extraterrestrial council was a bit much, should be something in Superman's territory. 5. The Alien corp knowing Superman's and Supergirl's susceptibility to Kryptonite. Overall, there isn't much wrong with the series. It is bound to get better over time.